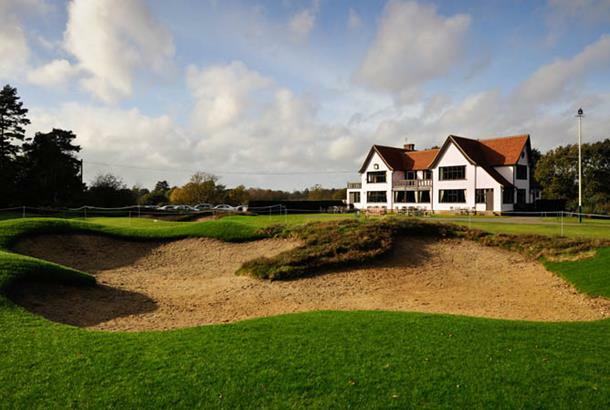 Golf has been played at Purdis Heath since 1926, although Ipswich Golf Club was founded 31 years earlier, in 1895. (November 2014) The first phase of an extensive bunker renovation at Ipswich Golf Club has been completed ahead of schedule with four holes reopened for play. The renovation, which is being carried out by world-renowned course architect Martin Hawtree, grandson of Fred who designed the course 88 years ago, will be implemented over a number of years. While the greens are back in action all bunkers on the holes will remain out of play as compulsory areas of Ground Under Repair, meaning balls cannot be played or retrieved. To guard against any players losing their valuable golf balls, the club has arranged a bucket of ‘practice’ golf balls on the tees for players to use. Therefore, should they hit a ball into the bunker, which they cannot retrieve, they will not lose a ball.